The prime minister said that the Congress and the Left parties had no respect for institutions, including the Election Commission and that their talk about democracy was the "biggest joke". 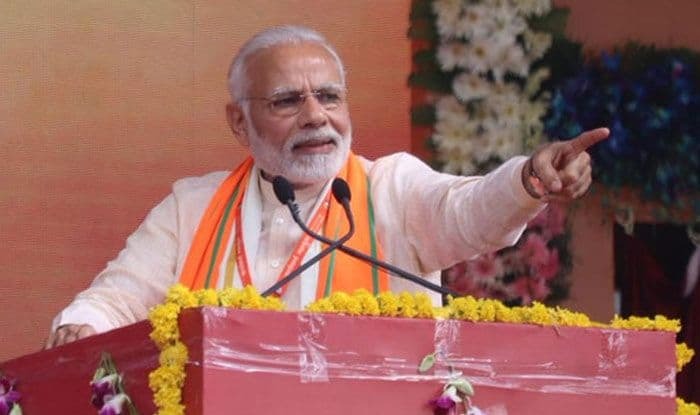 Thrissur: Launching a fresh salvo against the Congress and Left parties over corruption, Prime Minister Narendra Modi on Sunday said that the ‘chowkidar’ will not allow them to destroy the nation’s unity and integrity. “As long as I am there in Delhi, I will not allow any kind of corruption and will not allow the nation’s unity and integrity to be destroyed,” said PM Modi, addressing a mammoth rally of his party workers in Kerala’s Thrissur. The prime minister said that the Congress and the Left parties had no respect for institutions, including the Election Commission and that their talk about democracy was the “biggest joke”. He referred to the political killings in Kerala and equated it with those in Madhya Pradesh and said that the mindset of the Emergency still lived in the minds of many Congress leaders. “Congress and communists talking about democracy is the biggest joke. What is happening in some parts of Kerala.. political workers are killed just because their ideology is different from the communists,” he said. PM Modi targeted the Congress over the presence of its senior leader Kapil Sibal in the press conference held by a self-proclaimed Indian cyber expert in London, where he had alleged EVM rigging in the 2014 Lok Sabha polls. “Entire nation was amused to see a press conference in London, where, on foreign soil India’s democratic ethos was questioned. And, who was spotted in that press conference? A topmost Congress leader. Is this your respect towards institutions and our democracy?” he said. Syed Shuja, the Indian cyber expert who is seeking political asylum in the US, had claimed that the 2014 general election was “rigged” through EVMs, which, he said, can be hacked — a charge rejected by the Election Commission and the BJP. The Prime Minister, who was in Kerala for the second time this month, once again raked up the Sabarimala issue and alleged that the cultural ethos of the state was under attack from the ruling communist party in the state. He said that the state government has been disrespecting all aspects of Kerala’s culture. The issue of the Sabarimala temple had caught the attention of the entire nation. “The people of India are seeing the manner in which the communist government of Kerala are disrespecting all aspects of Kerala’s culture. The UDF too is just like the Communists,” PM Modi said. PM Modi said it was an “honour” for his government to have got the opportunity to confer the Padma Bhushan to Nambi Narayanan, who was implicated in a false case. PM Modi referred to the political killings in Kerala and equated it with those in Madhya Pradesh. PM Modi targeted the Congress over the presence Kapil Sibal in cyber expert's presser in London. On Sabarimala, he said that the state government has been disrespecting all aspects of Kerala's culture.